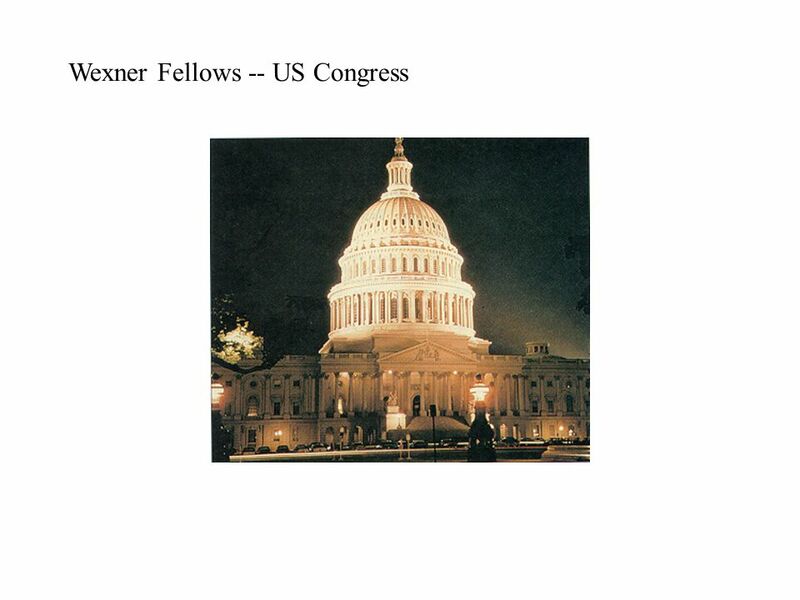 Wexner Fellows -- US Congress. 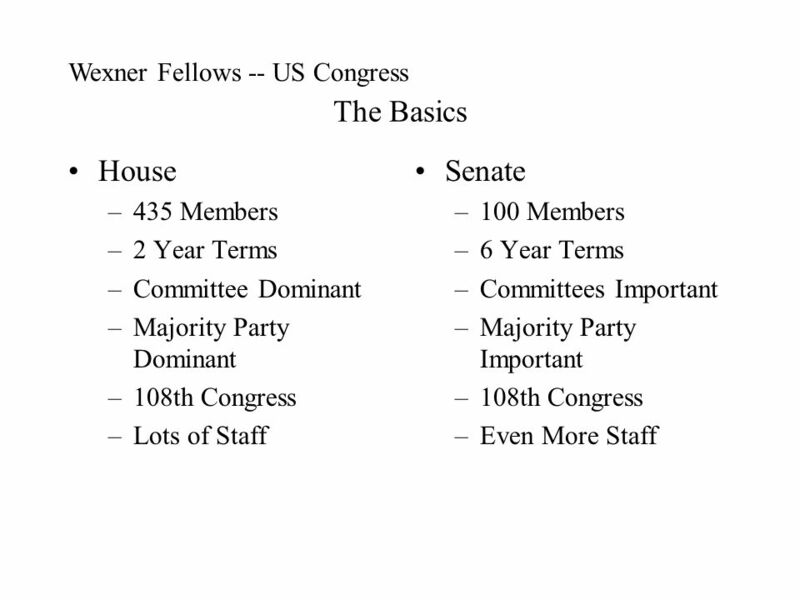 The Basics House –435 Members –2 Year Terms –Committee Dominant –Majority Party Dominant –108th Congress –Lots of Staff. 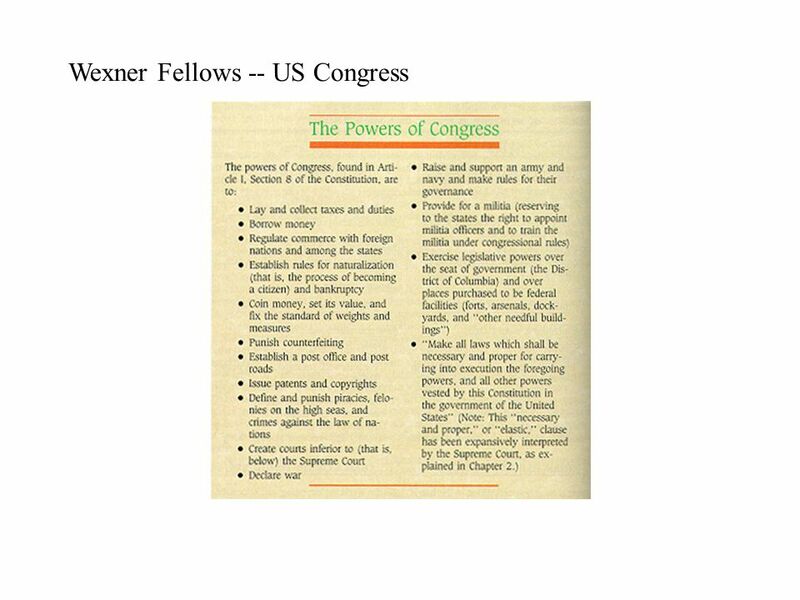 Download ppt "Wexner Fellows -- US Congress. The Basics House –435 Members –2 Year Terms –Committee Dominant –Majority Party Dominant –108th Congress –Lots of Staff." How a Bill Becomes a Law!. Bill to Law Mapping. Directions: Create a picture that details the process of a bill becoming a law. This must be detailed, include all the steps, and. How a Bill Becomes a Law. 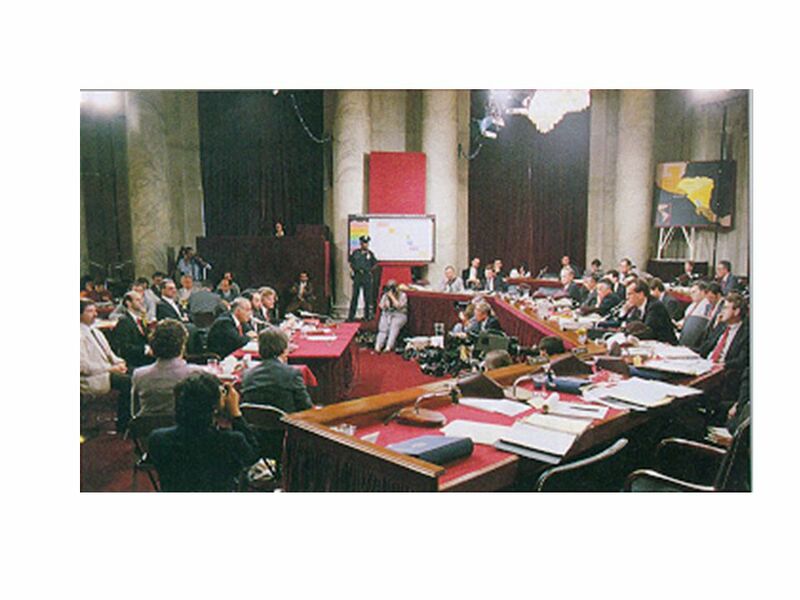 First Steps  Bill is assigned to a committee  In subcommittee, a bill goes through the following phases:  Phase 1: Hearings. HOW A BILL BECOMES A LAW. INTRODUCTION OF A BILL Both the House of Representatives and the Senate can introduce a bill Only the House of Representatives. The Legislative Process. How a Bill Becomes a Law S bill is intro to Senate Standing Committee Floor of the House If 50% plus 1 then moves to Senate Rules. The Three Faces of Power The ability to force someone to do something. A causes B to act, and B knows A has the “power.” Coercive. The ability to influence. Congress: the institution. 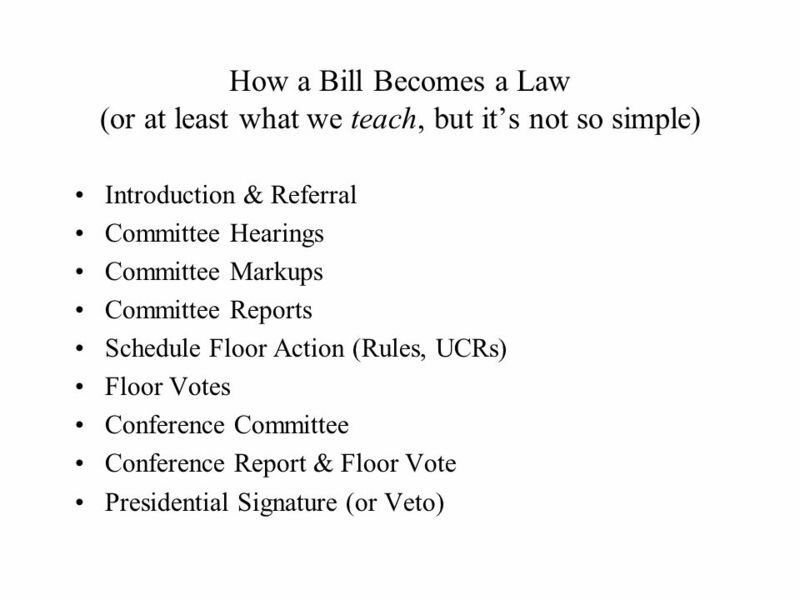 How a bill becomes a law Introduced by a member in either chamberIntroduced House.gov Referral to the committee(s) with jurisdictionReferralcommittee. Bills and Laws American Government. 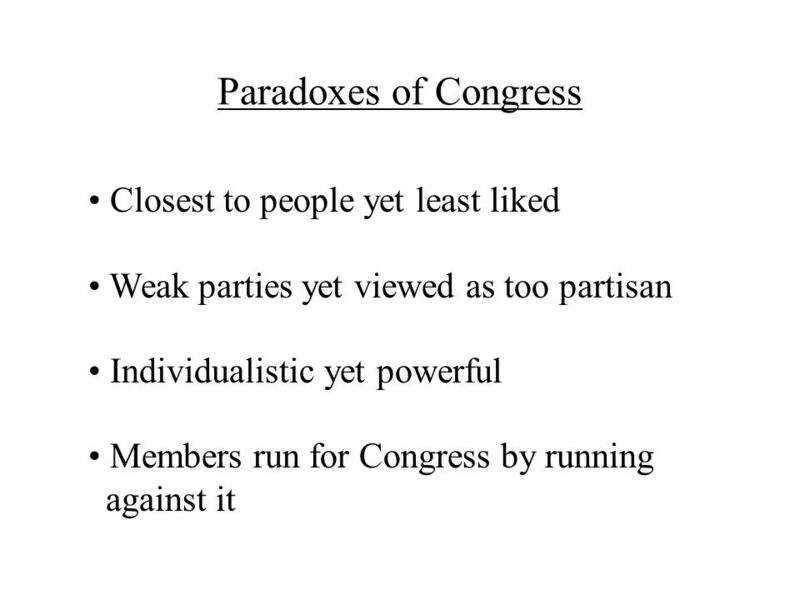 How Congress Works. A Bill v. A Law Bill - a proposed new law introduced within a legislature that has not yet been passed, enacted or adopted. How Congress Works. 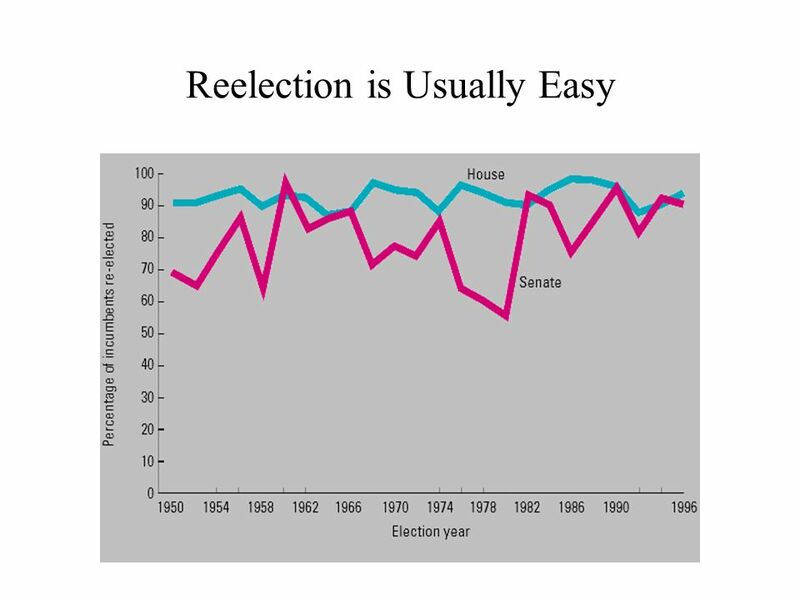 Bell Ringer Read article “Replacement Congress?” Do you think that the mass replacement of representatives through special elections. How a Bill Becomes a Law. #1 When a bill is in a committee hearing... The President changes the bill The bill is filibustered All other work in congress. How does a Bill become a Law? Look at earlier Notes and think about what was said in the Mr. Smith Movie about the Process. Journal. How a bill becomes a law. Definitions A bill is a written statement or complaint not yet a law. A law is a body of rules that pertain to a certain subject.